/Product specifications/ Size: length 13.5 x width 3 cm (five in) Material: 18/10 stainless steel Cleaning method: for dishwasher The "Daily Life" tableware group starts from the most basic diet in life and finds simple but fascinating interpretations in the daily use of food and beverage tools. 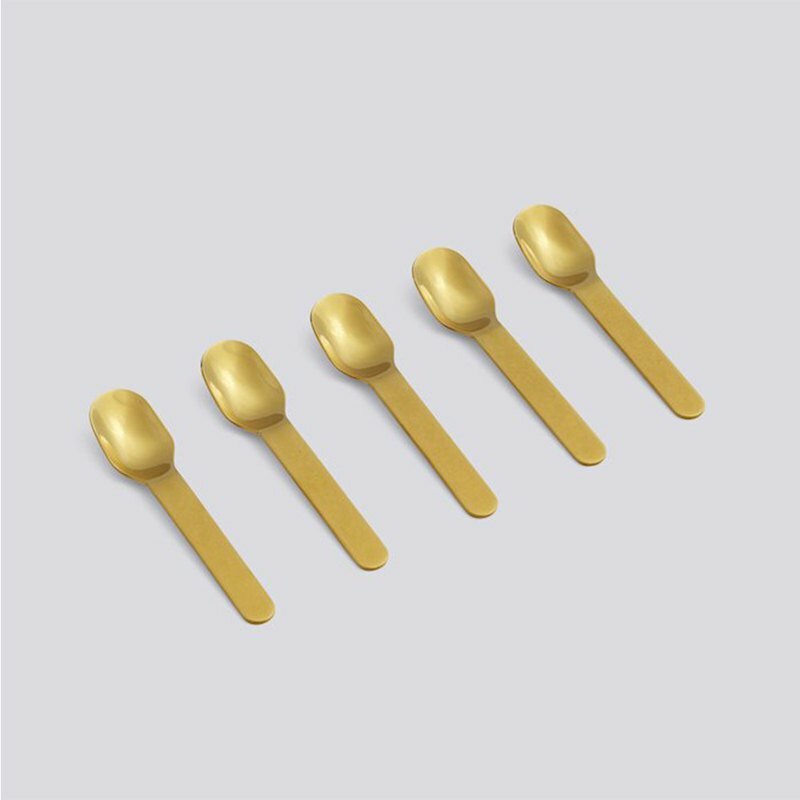 Not as good as the curve of the waistline of the tableware, the "Daily Life" spoon is presented in a rounded texture, giving the spoon a masculine style. The large grip is a major feature of everyday life, but it has a sense of simplicity. /About HAY/ HAY, a home design brand from Denmark, was founded in 2003, inspired by the architectural and furniture styles of the 50s and 60s. The design moves to give each piece a unique aesthetic with simple, classic thinking. The design of the design of Rolf Hay and Mette Hay is: bringing design furniture to everyone's home. Such beliefs and the price of the people have made HAY become a household name in Europe in just a few years. /designer | BIG-GAME/ BIG-GAME is a design studio composed of Swiss, Belgian and French designers. It was founded in 2004. The three designers Grégoire Jeanmonod, Elric Petit and Augustin Scott De Martinville share a common taste and are simple, practical and optimistic. Until now, they still believe in the same value, and there is nothing that makes them more happy than the products and interior spaces that can beautify their lives. They helped brands in Italy, Denmark, Japan, Hong Kong and other places, and also won many world-class design awards. For example, the 2011 Wallpaper Design Award and the 2013 iF Award. The work is also included in many museums, such as Pompidou in France and MOMA in the United States. Although their attitudes are always experimental, their industrial realism also allows products to be accepted by the market. In addition to betting on design, the team is not afraid to share their own experience, teaching at ECAL (Lausanne University of the Arts, Switzerland) for the benefit of more future designers.